But where is Astrodog? Don’t worry, he’ll be along soon. 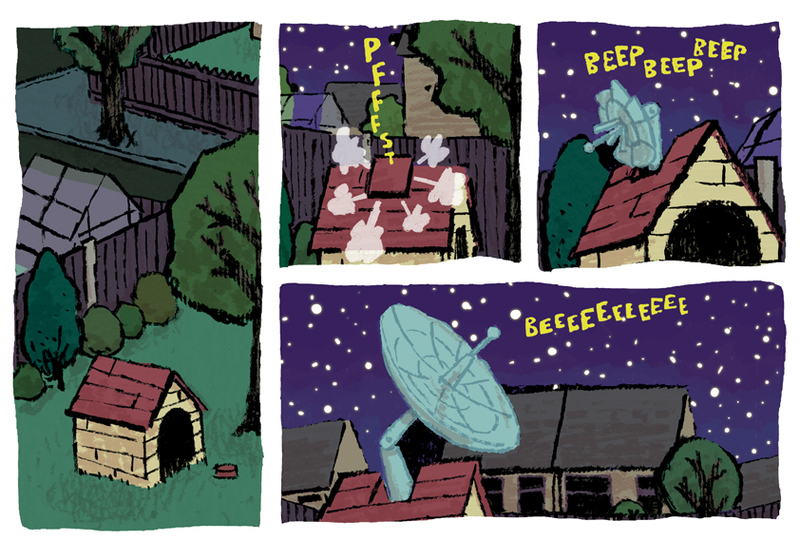 This comic was tagged Astrodog, page 1, webcomic. Good to see that Astrodog is finally out there, and strutting his funky spaceboots! I look forward to seeing more pages emerge over the coming weeks. Thanks, David, it’s been a long time coming, glad you’re liking it so far. Thanks, Pete! Sorry about the wait between pages, I want to make sure I’ve got time to draw the last 5! Cool sequence. Love the sound FX. Whoa, hightech dog house! That you don’t see everyday in a comic!